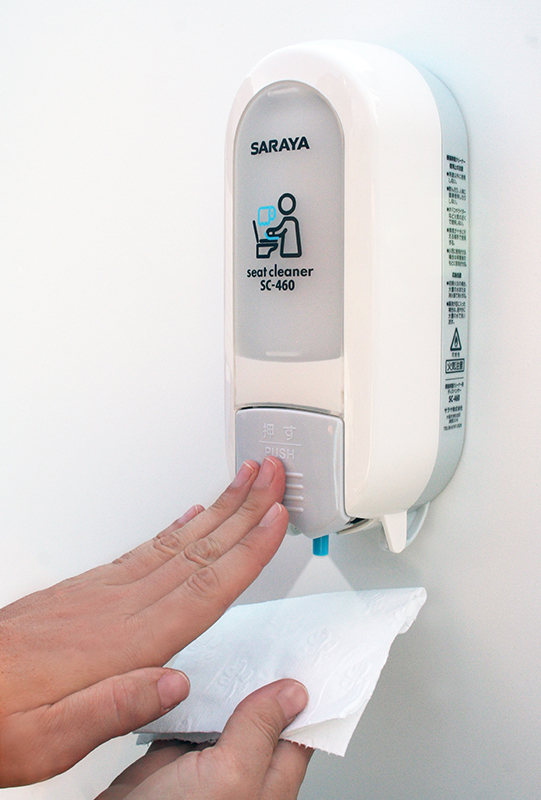 Every day, SARAYA helps keep millions of hands clean all over the world. Since 1952, our pioneering vision and sense of social responsibility have earned us the respect of businesses, schools, the government and households all over the world. Sanitation continues to be a primary focus for SARAYA. Every year, millions of people fall ill needlessly due to unsafe food and lack of sanitation. 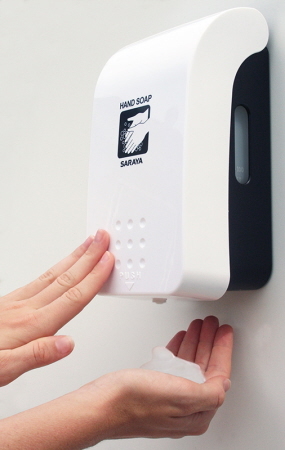 We strive to make handwashing easier because it is the number one defense against the spread of illness. With nature as our inspiration, we find new uses for natural substances to develop unique sanitation and health products. We are committed to improving health by developing technology, educating the public and protecting the environment. Environmentalism has been our mandate since the beginning, long before "eco-friendly" became a buzzword. We are ISO 9001 and ISO 14001 certified for quality control and environmental management systems. By responding to changes in society and encouraging dialogue, we develop value-added products that go beyond the conventional. This customer-oriented approach lets us meet the ever-evolving needs of our clients. 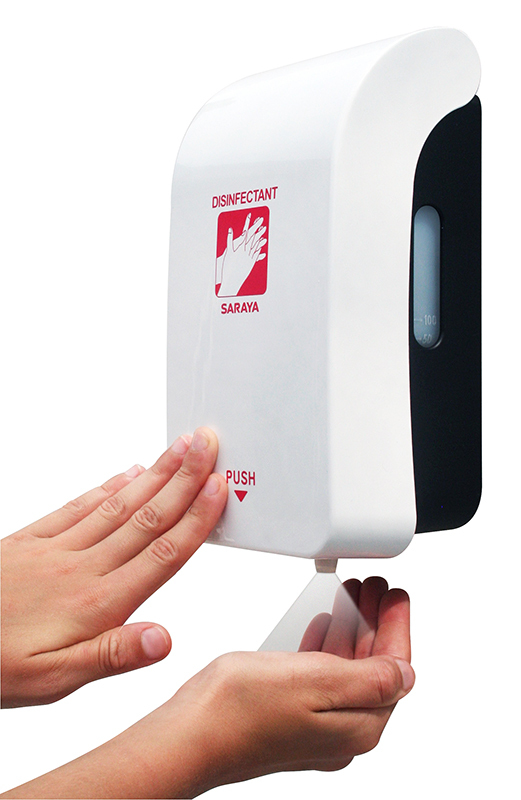 Manual dispenser for use either foaming soap or liquid soap. It has a side window for easy confirmation of the remaining volume. It uses a 500ml refillable bottle. It has a stylish and functional designs. This easy clean manual soap dispenser offers better hygiene which reduces the spread of germs and sickness. You can simply install this with a double sided tape or screws. Tamper proof with secret switch. 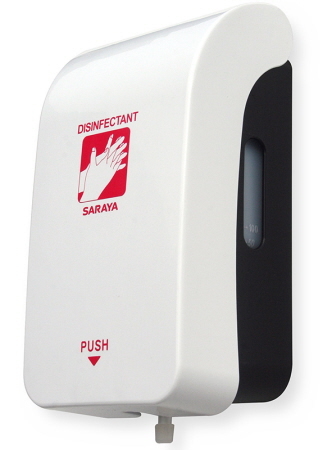 An easy to use manual sanitiser dispenser for use with Saraya solution alcohol hand sanitisers, or gel sanitisers of any type. It has 500ml capacity. You can easily determine what liquid type and its remaining volume through the transparent side window. You can simply install it with double sided tape or screws. It is made from tough fade and resistant to dirt PP plastic. This sanitiser dispenser can be installed on any wall. Tamper proof lock with secret switch. Get one of these stylish and functional sanitiser dispensers for better hygiene! 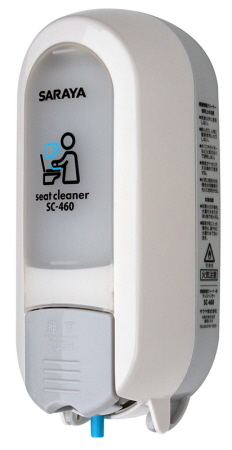 A refillable toilet seat cleaner dispenser for creating a healthy environment. 1500 dispenses per bottle. Cleaning and sanitising toilet seats is a must especially in public places due to high risk of cross contamination. If you are in business, providing your customers with clean toilets shows that you care about their well-being. 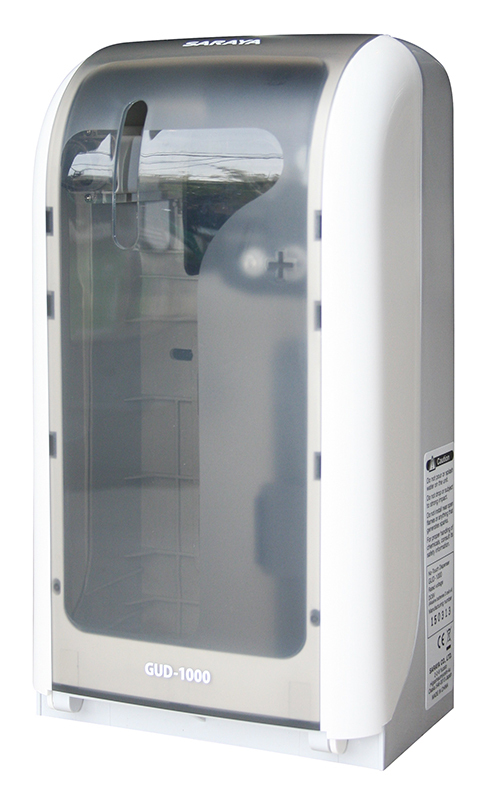 This compact size toilet sanitiser dispenser can easily fit in any cubicle. It has a simple design and is user friendly. It can easily be wall mounted with double sided tape. Economical and effective, environmental friendly hand wash with natural formulation that cleans hands gently. With added antibacterial effect that kills germs, this quality foaming hand soap is great for everyday wash. It contains emollients for skin conditioning. 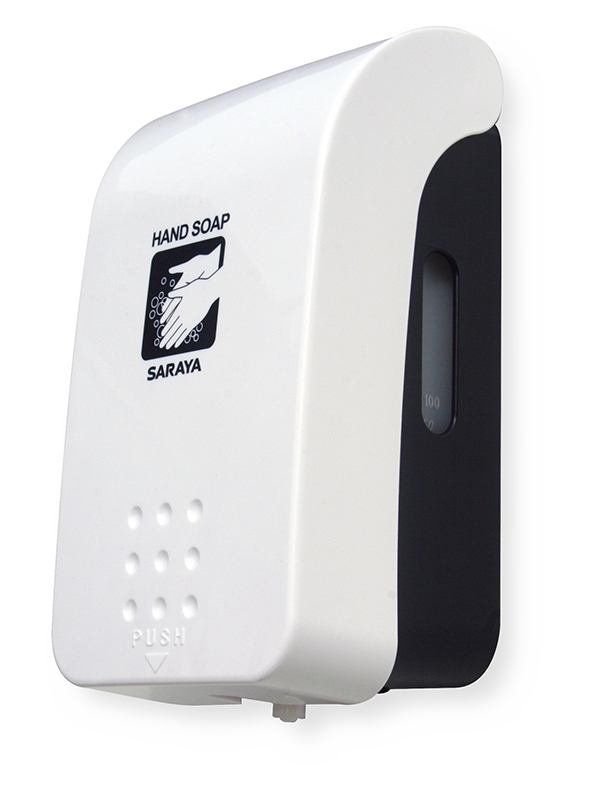 It improves hand wash effectiveness by spreading quickly and evenly over all areas of your hands. It comes in green apple fragrance. Approximately 1000 doses per litre. Available in 1 litre (suits GUD-1000 dispenser) and 3 litres (GMD-500 Dispensers). 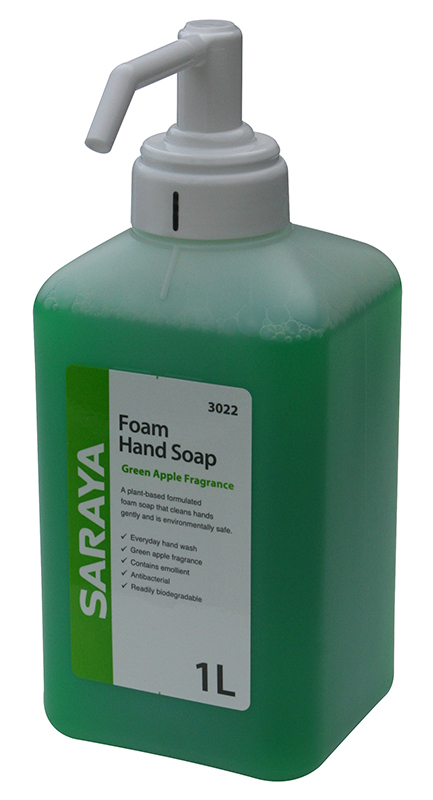 Try Saraya Foaming Hand Soap now and feel the difference! *To save, purchase in carton! 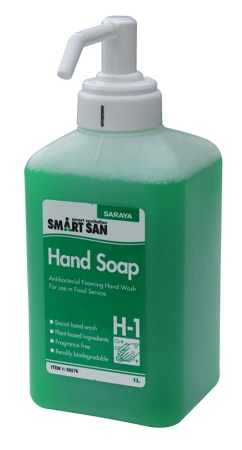 An economical food grade 2-in-1 foaming soap that cleans hands and kills germs great for daily use. Its economical with approximately 1000 doses per litre. Suitable for use with a HACCP based food safety program. A natural formulation that cleans hands gently which is environmentally safe. 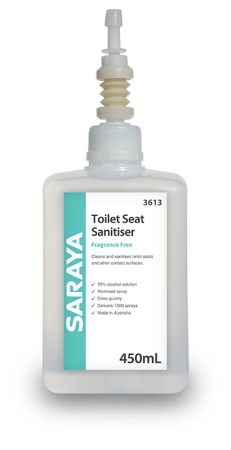 Australian made 70% alcohol solution, fragrance free, effective and economical toilet seat sanitising cleaner. It can also be applied to other contact surfaces in the washroom. If you are concerned about personal hygiene, especially when you have young children, toilet seat sanitisation is a need in your washroom areas. This reduces risk of cross contamination. It cleans and kills 99.9% of germs and bacteria. Available in 450ml and 3 litres . The 450mL sealed bottle simply slots into the dispenser. For cost efficiency, you can have the refillable bottle and use the 3L. 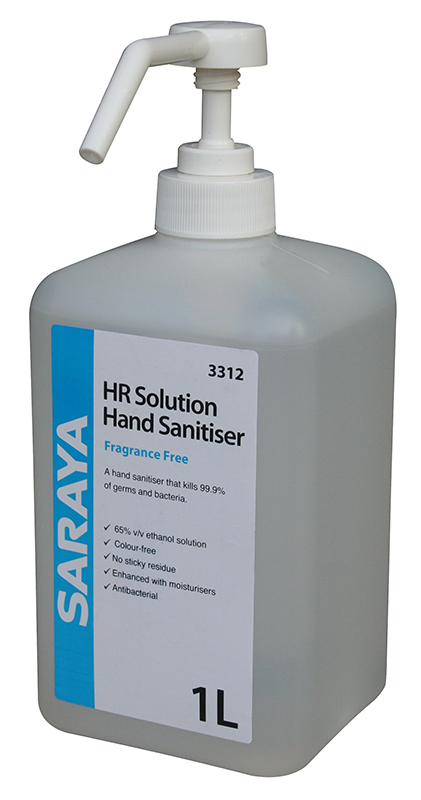 Simple, fast, and effective hand sanitiser made in Australia that kills 99.99% of germs and bacteria in seconds. 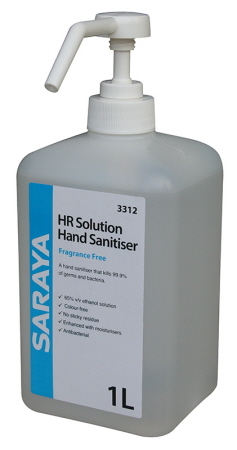 This hand sanitiser from Saraya is made from 65% alcohol solution and designed for daily use. A great alternative for hand washing with soap and water. You don't need to rinse or any paper towel - simply rub until it dries. It has a non-sticky formula. Available in 1 litre (suits GUD-1000 dispenser) or use as a stand alone bottle, and 3 litres (GMD-500 Dispensers). An ethanol based spray that kills 99.99% of germs in seconds. 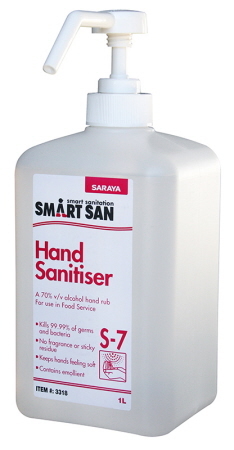 The atomised liquid provides the best coverage and saturation available in hand sanitiser. 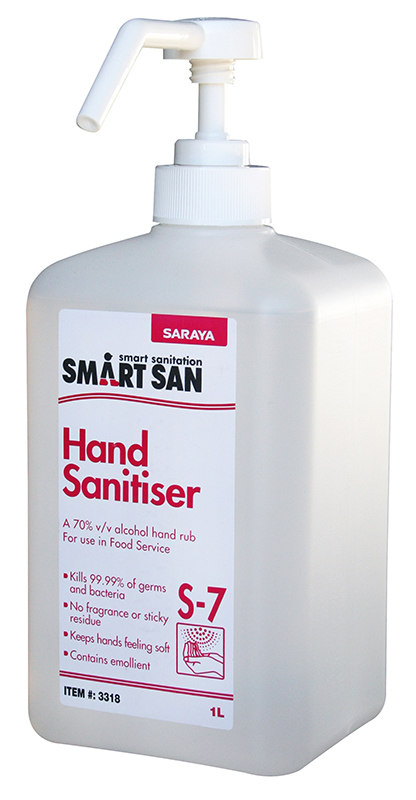 S-7 SMARTSAN Hand Sanitiser is food safe manufactured in a certified quality assured facility, and ideal in all food handling areas and office environments. Liquid bottle pump set available in carton or individually.